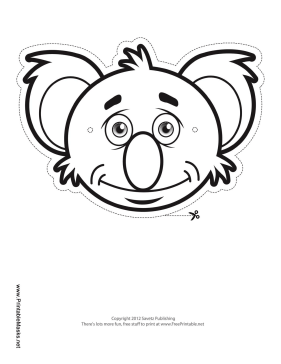 This koala outline mask will make a great activity for students learning about these Australian animals. His big nose and ears are easy to color, so this mask is suitable even for younger students. This mask is free to download and print.